In fact, it’s so enthusiastic it has gone even further, and identified which six chunks of spectrum in VHF Band III ("sub band II") could be used for small scale DAB - enough, it says (PDF) for 192 small scale multiplexes. The UK has three national digital radio multiplexes – two commercial and one for the BBC. Because these covered a wide area, this left local and community stations with a high bill to pay if they wanted to transmit digitally. As a consequence, some 400 stations have remained on analog. 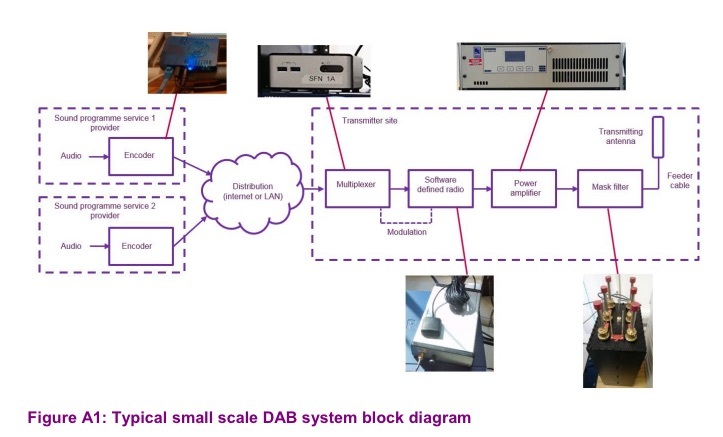 The small scale DAB trials attracted around 70 micro stations, most of which were new to digital radio, and these will remain on air until 2018. Each triallist hosted at least four stations, with Ofcom providing the equipment. 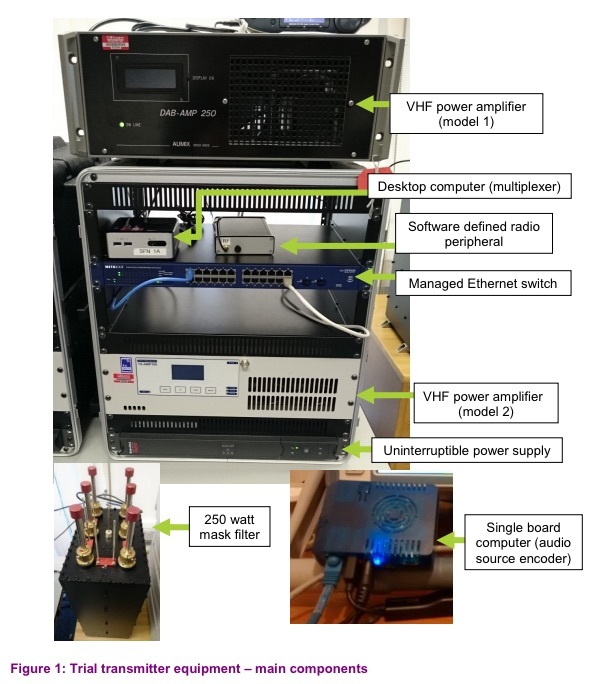 Costs ranged from £9,000 for a single transmitter to £19,000 for the on-channel repeater trial. Ofcom found that industry scare stories about channel interference were unfounded: “No significant ACI [Adjacent Channel Interference] issues were encountered during the trial,” the report notes. The software was judged to be “highly reliable” with the main issue being synchronisation in the single frequency network (SFN) trial. This has now been resolved with a software update. Some triallists even experimented with DAB+, which uses a more modern compression codec than DAB’s MP2, which was devised when Ronald Reagan was still president of the US. “When I first suggested its use at a radio industry digital stakeholders meeting, the idea was roundly dismissed. I was told: ‘We've looked at software-based DAB, but it’s too unstable and will never work’,” Nathan told us last year. Ofcom’s liberal (and very un-Continental) approach has encouraged the experiments, which won support within the Ministry of Fun.